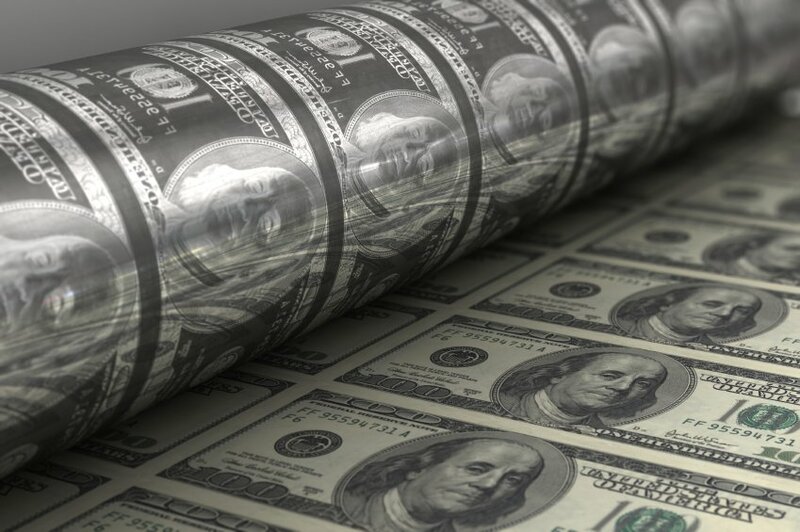 MMT and the Gold Investor | American Precious Metals, Inc.
Modern Monetary Theory (MMT) has recently burst upon the political and intellectual scene. As such, investors of all kinds need to take heed. MMT has developed with some justification. Over the past 20 years or so, all over the world, a grand monetary experiment has been undertaken. Government debt has soared, private debt has soared, interest rates have been suppressed to near zero, and central banks have expanded their balance sheets in waves of quantitative easing. The world has never seen such interest rate suppression and central bank balance sheet expansion before. MMT at base says that governments cannot go bankrupt because government can, through a variety of means, conjure forth any amount of money necessary to pay interest on the debt. The debt really never has to be repaid, but simply rolled over. Therefore, there is nothing to fear from running up the National Debt to higher and higher levels. We need to think about government finance differently. It is not constrained like a household or a corporation. Adherents also suggest that if government can borrow heavily and engage central bank policies to bail out banks, they can also create funds to pay for Universal Basic Income, a Green New Deal, and Medicare for all. In short, heavy debt and intervention can and should occur absent an emergency. An emergency is now defined as anything they want done. Keynesianism originally argued that government should intervene during severe economic slumps to promote full employment. Politicians modified this advice to running deficits not only during slumps but also during prosperity. Once it was discovered that votes could be had by offering goodies today, with the cost pushed off somewhere into the ether of the future, deficits became constant and growing. Now MMT takes Keynes a bit further. Deficits can be run up for many reasons besides trying to cushion the ride of the business cycle. MMT advocates oddly do not see taxes as a form of revenue but instead a constraint on inflation. The main source of revenue is the money the government creates. In short, MMT is Keynesianism on steroids, without even the limitations Keynes thought proper. It is an academic excuse for politicians to spend more money, run up more debt, launch more programs, and grow more government. For the gold investor, the rise of MMT just shows we have not learned much from history and we will repeat the same mistakes. The American political system was designed to deal with the historic misuse of power. That is why we have a binding Constitution, a division of power among branches of government, and between the Federal government and States. The gold standard was also part of the arrangements to keep government expenditure and power in check. Sadly, these restraints are breaking down today and MMT argues for even greater power in the hands of those who will spend and print money at their discretion. Whatever the outcome, gold has proven to be a vital insurance. In the case of inflation, gold holds its buying power over long periods of time. In the case of deflation, gold is one of the few assets which are not someone else’s liability. In a world of ever expanding debt, it can’t fail, and it can’t go bankrupt. Government has not proven it can cure social or moral ills. Government can’t even educate our children or pave our roads let alone fine tune a complex economy. However, one of the things the government has done historically very consistently is depreciate the value of money. There is no fiat money system in the history of the world that has produced a currency which has held its value over time. None. MMT promises that socialism has found a way out of the conundrum. In the process, do you think the purchasing power of money will hold steady? Do you think debt can continue to build up without eventual consequences? If your answers to these questions are no, you need to own some gold.